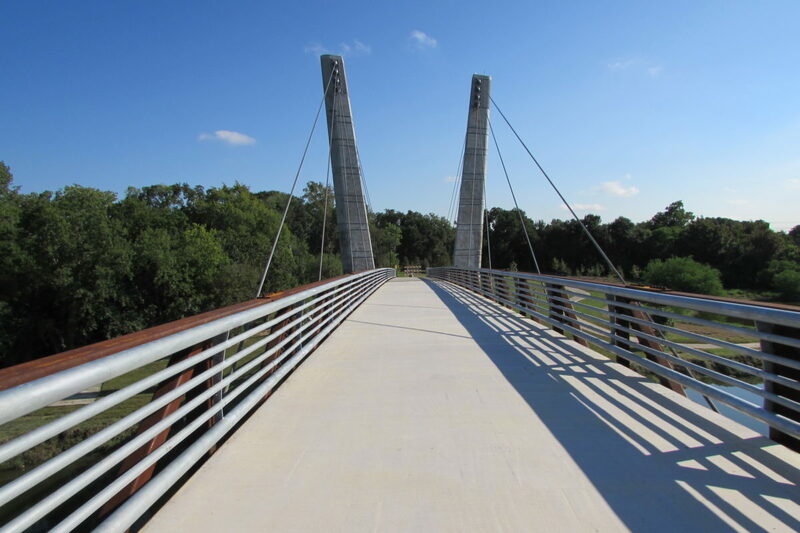 You round a curve on a wooded path and they come into view, the 70-foot towers and cables of the new Mason Park bike and pedestrian bridge. 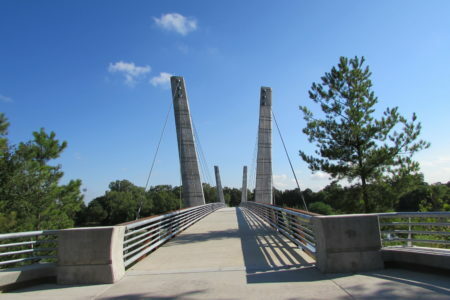 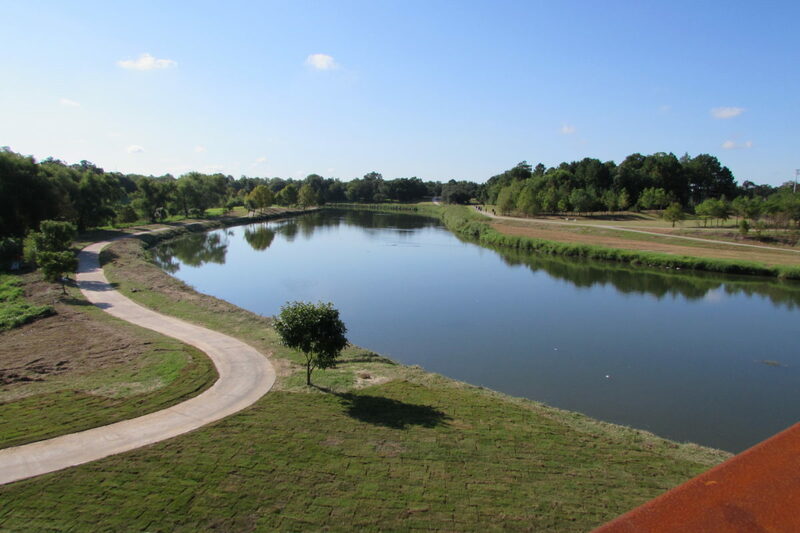 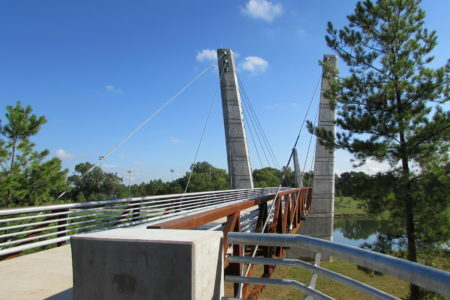 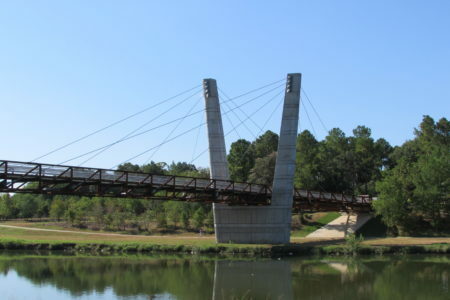 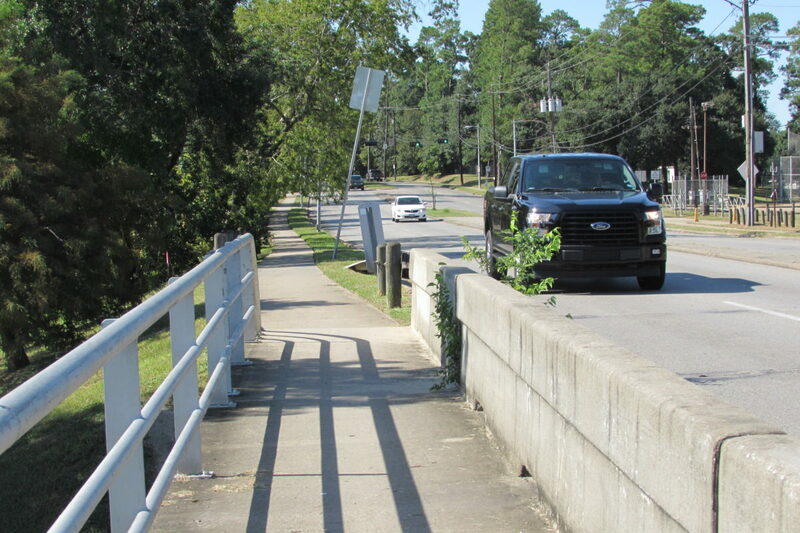 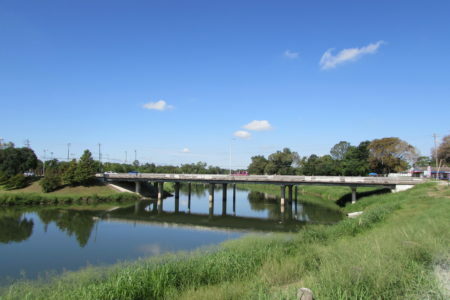 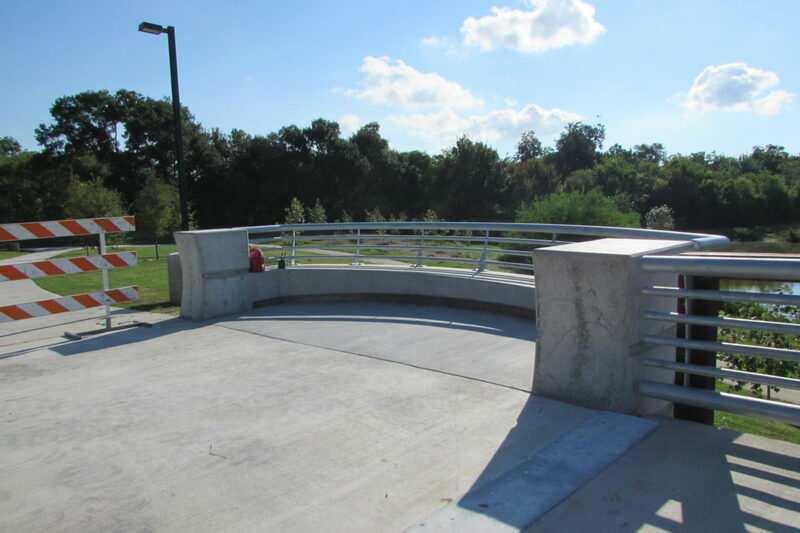 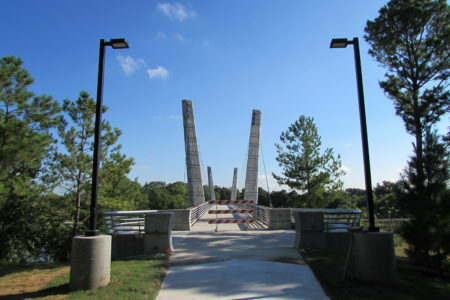 “This bridge is a beautiful bridge in its own right with some pretty impressive engineering, but it’s also connecting two parts of a really great City of Houston park,” said the Houston Parks Board’s Doug Overman. 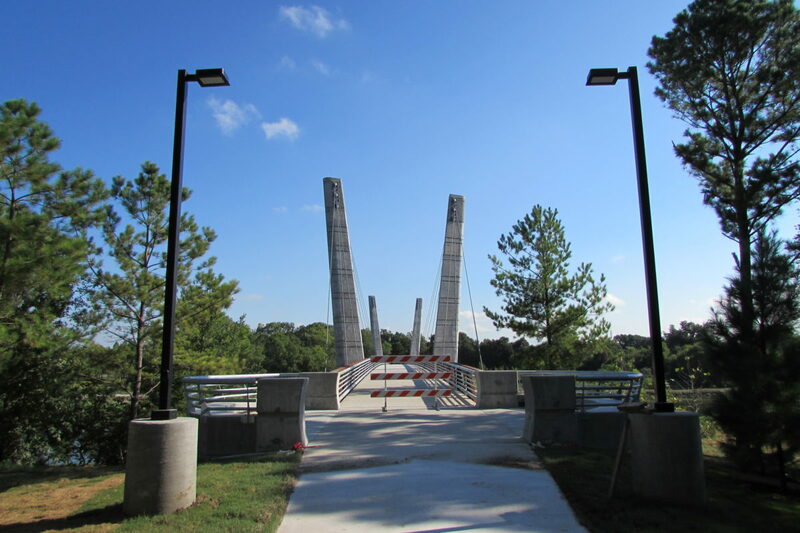 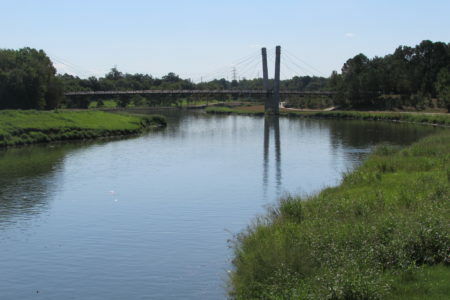 Overman explained how the 485-foot bridge connects walkers and cyclists to the Brays Bayou trail and the Bayou Greenways system. 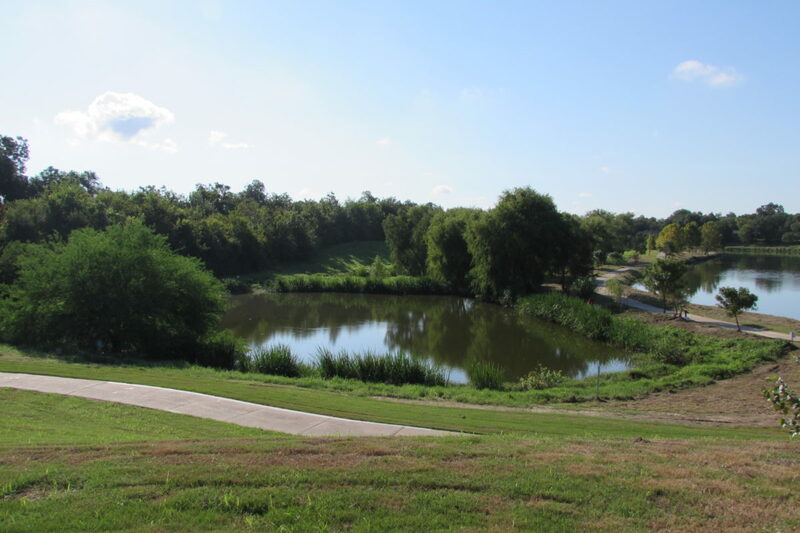 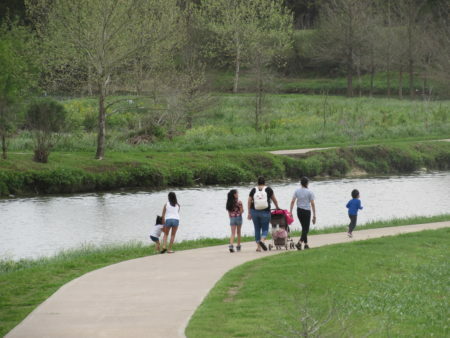 It also provides an important link inside Mason Park, a 104-acre property that features busy athletic fields, along with natural areas and wildlife habitats. The bayou runs through the middle of the park and Overman said there really wasn’t an easy way to get across it. 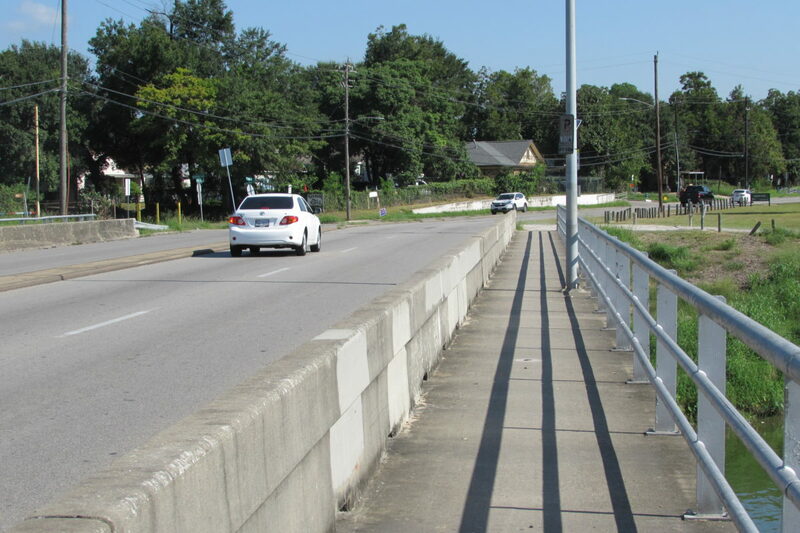 “You had to go all the way back to 75th Street and use a really narrow sidewalk with buzzing traffic passing by you, and not a really pleasant way or practical way to get from one side to the other,” explained Overman. The Mason Park Bridge costs $5.7 million. 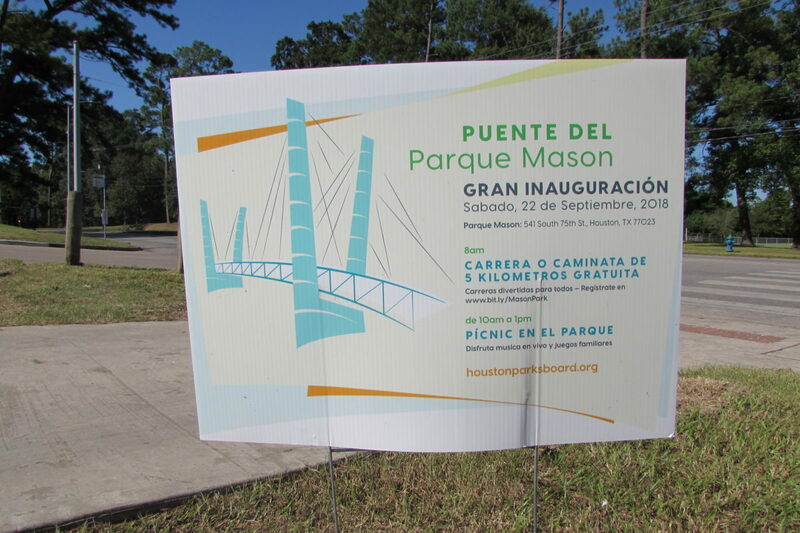 It was paid for with a mix of public and private money. 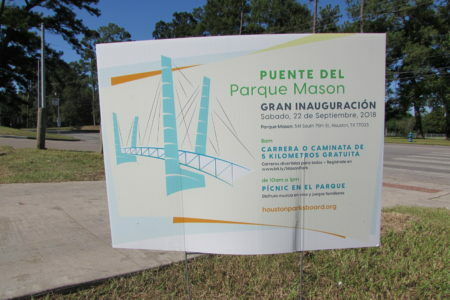 This Saturday, September 22, there will be a big celebration at Mason Park to mark the bridge’s grand opening. 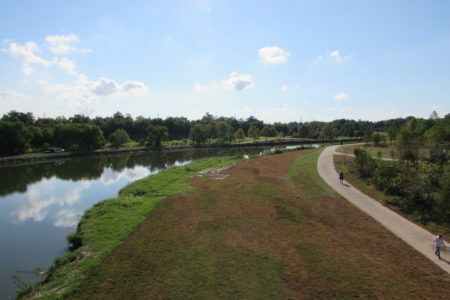 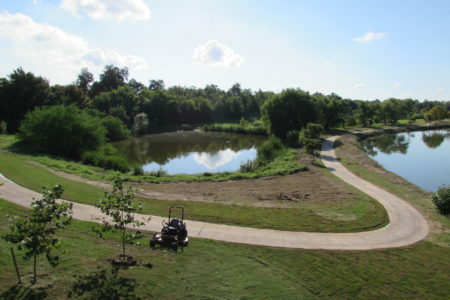 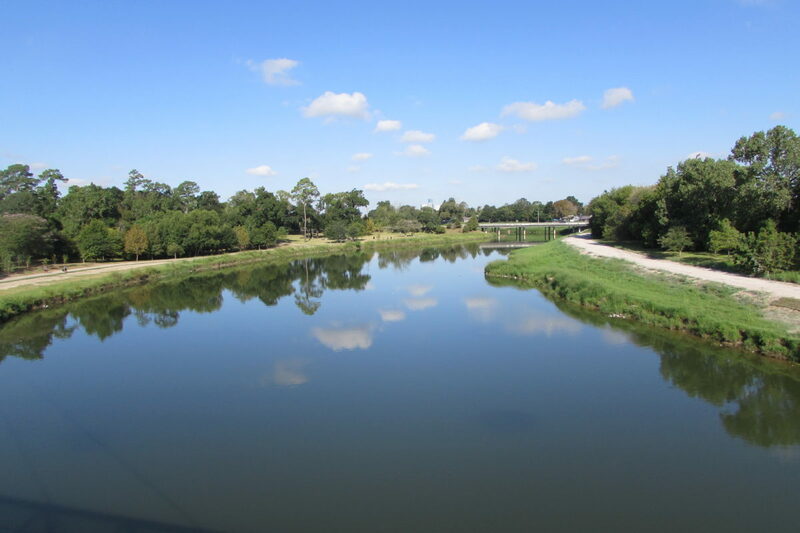 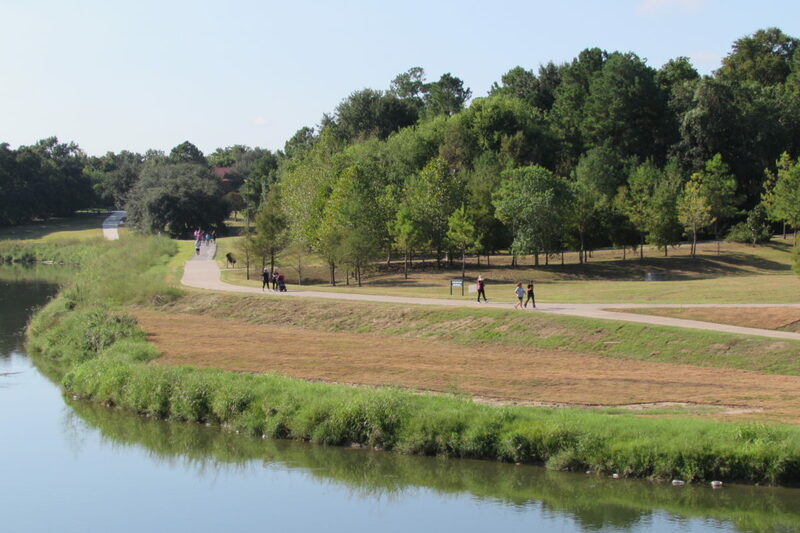 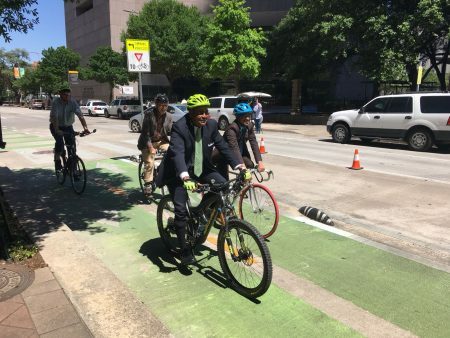 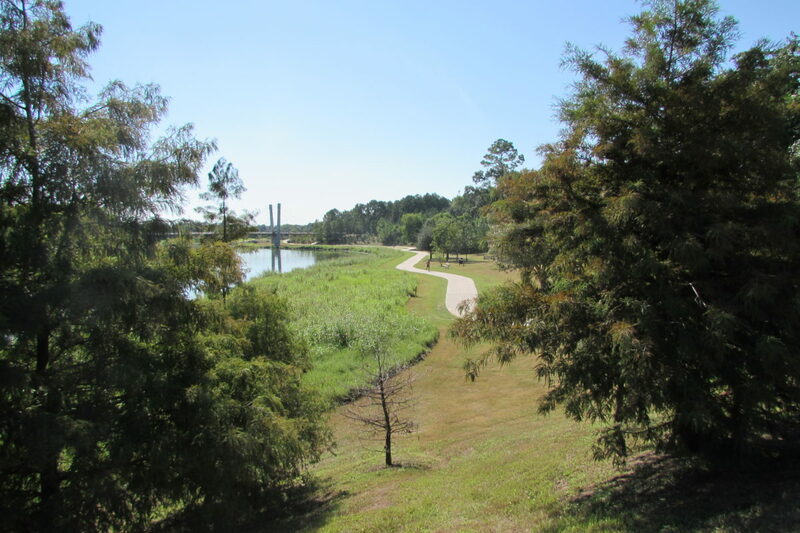 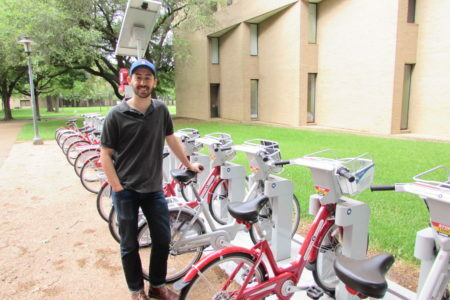 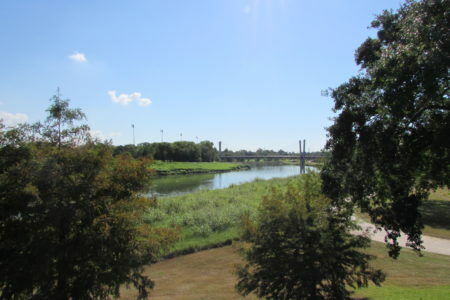 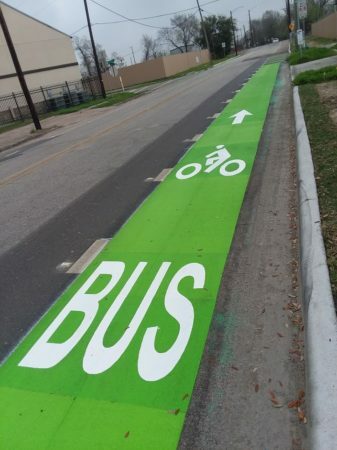 EDITOR’s NOTE: This story was updated to reflect that Doug Overman works with the Houston Parks Board, not with Bayou Greenways.